If you use twitter and follow more than 100 people you might want to use twitter lists to organize so you keep track of certain twitter users that you don't want to miss. The best part of twitter lists is that you can name the lists yourself. 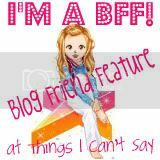 For example if you mention someone all the time and they mention you back you might want to have a conversationalist list or name it best blogger friends etc. You can create another list for celebrities tweets or anything you like. The more followers or people that you follow the more important lists are. If you follow 3,000 people it is way too much to try to keep up with all of them. That would be social media overload. Instead you might want to list the 300 people of the 3000 in some lists instead so you can track their tweets and respond to them easier. Now we know some reasons why to use lists, lets figure out how to add people to lists. To add people to lists on twitter.com you just want to go to someone's twitter page first. Lets use Kristin as an example. We go to her twitter page http://twitter.com/kristin_opc and look under her bio where there is a shadowy image of a person and a downward arrow. Click on the downward arrow and from the drop down select add to list. If you have no lists click on create a list. 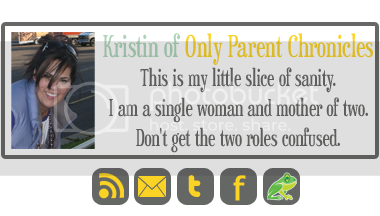 Name the list you want Kristin to be on. Maybe bloggers, awesome bloggers, people who rock or anything you like. You can then go to another twitter friend and add them to the same list or put them on a new one. If you want to view your lists on twitter.com so you can see everyone's tweets from that list click on the profile button at the top. Then underneath your own bio click on the lists button with the downward area. Then select the list you want to see tweets from. It's that easy. Now let's assume you use tweetdeck, hootsuite or some other third party twitter app. I'm going to use tweetdeck in this example as I use tweetdeck but hootsuite basically works the same. So on tweetdeck just click on any user that you want to add to a list. Once you click on them look to the right where a button with a tiny head on it that says add to group/list. Click on it. Then click on lists. If you already have lists you can add the person there by checking the box on the right for the corresponding list. If you don't have any lists click the create a new list for @username button and name the list. If you want to add your list as a column on tweetdeck which I really recommend that is pretty easy. Open up tweetdeck and look for the + sign button on the top left When you hover your mouse over the plus sign it should say add column. Click on it. Then click where it says Group/Lists and then double click on the list you want to add as the column. That's it. The process is very similar with hootsuite. Now what if you notice that one of your friends has a list that you want to follow all of the users on that list. For instance I have a list called cool people. Its has 400 something people on it. You could go to the list and add them manually but that would take awhile, instead I recommend using a free service called tweepi.com. Go there and login with your twitter account. It's pretty cool you can use it to unfollow those not following you back and to follow new people. In this case we are using it to follow new people. Roll your mouse at the top where it says follow tweeps and you will get a drop down list, click on the third one down where it says list members. Then enter in @sogeshirts where it says @listowners name and then click on the double right arrow to the right. A dropdown of my lists will come up. Click on the cool people list and then click on the get me that list button. You can then add everyone really quickly by checkboxing next to every member of the list and then hitting follow at the top or bottom. This will let you follow twenty people at once. You can then go to the next page and do the same thing to follow twenty more people at once. I love tweepi and using this list feature I can follow some really awesome people that others thought well of them enough to list. Thanks so much for reading my list tutorial. If you have any questions make sure to leave them in the comments and I will get back to you as soon as possible or you can just mention me on twitter by tweeting @sogeshirts. I am still lost about twtter but once I get back into it again I will be back to review this page, so thanks! Hi Jennifer. Glad that this article helped. Lists can make twitter a lot easier in my opinion, and way more fun. PBJdreamer- You are quite welcome. If you ever need twitter help let me know. Kristin thanks so much for letting me post! Hi Mimi. The plus by the list means that if you click on it and it becomes a check mark then you are following that persons list. Once you follow a list it will show up in your lists and you can keep track of everyone on the list that you are following should you choose to. For me I follow lists whenever I want to save a list for later to load into tweepi. Other than that I don't follow lists much. Following a list could be helpful though if you want to follow everyone on a particular list at a later time. So follow the list by clicking the plus button and a check will appear. The list you followed should be under your lists. Feel free to ask me anymore questions anytime! Now I just need a list for all of my lists I'm going to make! haha thanks Tonya. You rock. Lists are awesome! Poppy let me know how that goes!